The “life cycle costs” of drive solutions include all of the costs which are incurred, from purchase and commissioning, use and maintenance, up to disposal. To optimise the Total Cost of Ownership (TCO) NORD DRIVESYSTEMS offers individual TCO calculations, integrated concepts for costs and efficiency optimisation as well as powerful and efficient drive technology. Energy saving IE4 synchronous motors from NORD are highly efficient and meet the most stringent energy regulations, which ensures significant cost savings in the sense of TCO. Procurement, management, transportation and installation, environmental and disposal costs only account for a part of the costs for plant and machinery. Operating costs such as energy, operating materials, operation and software, storage, as well as repair and maintenance costs must also be considered. The total costs which a product generates over the course of its life cycle can be calculated with the aid of a TCO calculation. Among other things, this enables to savings and the payback time to be determined. To optimise the TCO, NORD DRIVESYSTEMS supplies efficient drive solutions which considerably reduce operating costs. Here, the focus is on an integrated approach. This includes reduction of the number of versions with the aid of the NORD modular system, reduction of energy consumption through the use of efficient IE4 synchronous motors, long service life and low maintenance NORD drive units. Drive systems count as the main consumers of energy in industry. Therefore, energy consumption provides the greatest leverage for reducing the TCO. Energy saving IE4 synchronous motors from NORD are highly efficient and meet the most stringent energy regulations – and thanks to PMSM technology, also in the partial load and speed ranges. This enables significant cost savings. The second largest factor for reducing costs is the deliberate reduction of the number of versions. This minimises administrative expenses, and enables leaner manufacturing, logistics, storage and service processes. The necessary basic versions which are required in order to reduce the total number of versions can be selected from the extensive NORD modular system. In addition, NORD systems which are configured for specific industries facilitate reduction of the number of versions and spare parts management. 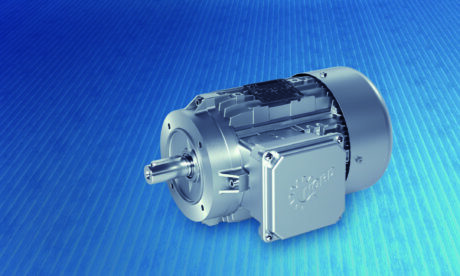 For Intralogistics and airport applications, NORD supplies the LogiDrive standardised geared motor system consisting of an IE4 synchronous motor, a two-stage bevel gear unit and a NORDAC LINK field distributor is a perfectly matched drive system. For pallet conveying technology NORD offers an economical combination of an asynchronous motor and the NORDAC BASE frequency inverter. The high quality and reliability of NORD Products results in a longer service life with lower maintenance costs, which further reduces the total cost. Also, with the aid of NORD frequency inverters, maintenance and repair costs can be significantly reduced and plant availability increased.